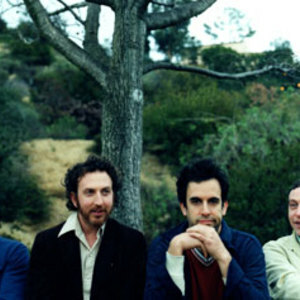 Guster is an alternative rock band, which formed at Tufts University in Medford, Massachusetts, United States in 1992. The band consists of Adam Gardner and Ryan Miller on guitar and vocals and Brian Rosenworcel on percussion. Multi-instrumentalist Joe Pisapia played with the band from 2003-2010. Luke Reynolds has taken Pisapia's place to tour with the band for their newest album, Easy Wonderful. The band is noted for its catchy, poppy melodies, and the distinctive hand-drumming on percussion. The band consists of Adam Gardner and Ryan Miller on guitar and vocals and Brian Rosenworcel on percussion. Multi-instrumentalist Joe Pisapia played with the band from 2003-2010. Luke Reynolds has taken Pisapia's place to tour with the band for their newest album, Easy Wonderful. The band is noted for its catchy, poppy melodies, and the distinctive hand-drumming on percussion. The band has released six studio albums which are, in chronological order, Parachute, Goldfly, Lost and Gone Forever, Keep It Together, and Ganging Up on the Sun, and their most recent, Easy Wonderful, which was released on October 5, 2010. In addition, a live album was released in 2004, Guster On Ice, recorded live in Portland, Maine. On April 10th, 2007, the Satellite: EP was released and included a remix of Satellite from their previous album Ganging Up on the Sun.